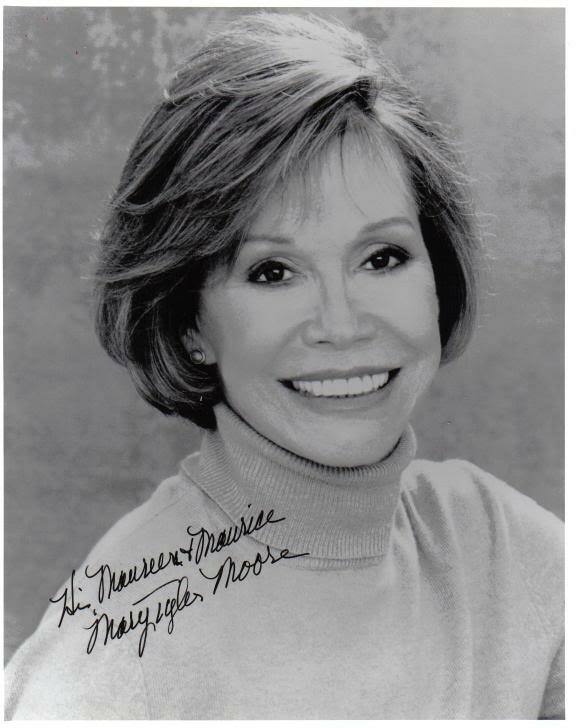 Thread: Mary Tyler Moore. RIP. This photo came from Mary Tyler Moore's New York office in response to a letter from me. Had her own VERY successful TV SHOW and starred as a Nun with Elvis Presley in 'Change of Habit'. The sad news of her death is all over the internet tonight. Last edited by MauriceColgan; 25-01-2017 at 09:04 PM. Re: Mary Tyler Moore. RIP. Had not thought of her in years. Her show was popular over here. I did not know she was such a pioneer. It was just taken for granted that that was the way it was in the USA. Surprised me that her company was behind the "Hill Street Blues" program. Seems she did a lot of unselfish work for the American Juvenile Diabetes Research Foundation and other such organisations. Thank you, eamo. Yes Mary Tyler Moore had quite an interesting career. I remembered her TV show and not much else till I read the Wiki page about her.